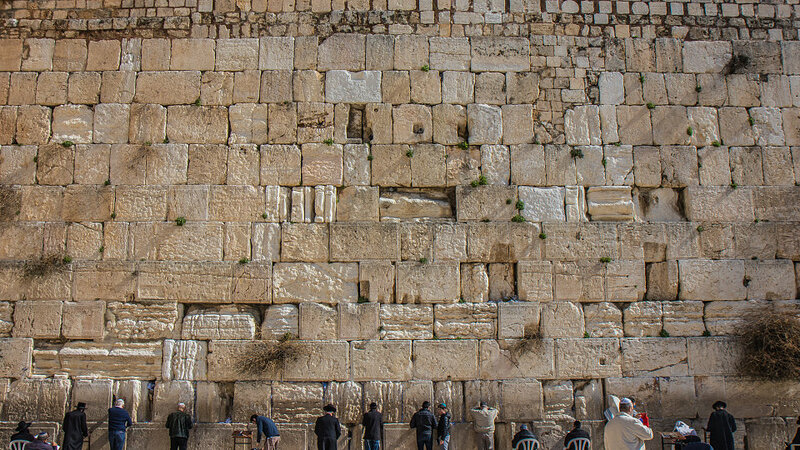 Join Leigh Bartoli on Holy Land 2020! This tour departs February 14, 2020, and returns home February 24, 2020. Visit places such as the Sea of Galilee, Church of the Nativity, and the Western Wall. Pricing starts at $3896* including flights from Charlotte, NC. *Pricing reflects 4% cash discount. Marvel at the Roman Aqueduct and Theatre at Caesarea Maritima, a center of the early Christians. Here, Cornelius became the first Gentile convert to the new covenant (Acts 10) and Paul was imprisoned before being taken to Rome for trial (Acts 23). Visit Nazareth, the boyhood home of Jesus (Matthew 2) and the Mount of Precipice where Luke describes how those in the synagogue rejected Jesus after He taught them. Filled with anger they “led him unto the brow of the hill whereon their city was built, that they might cast him down headlong” (Luke 4: 29). See Mary's Well and the Church of the Annunciation. Check into your Galilee Kibbutz for dinner and overnight. Today you travel through the Golan Heights to gain a better understand of their strategic importance to the security of Israel. Visit the ancient remains of Tel Dan and the altar built by King Jeroboam I (I Kings 12:25 -30). Journey to Caesarea Philippi, where Peter proclaimed, "You are the Christ" (Matthew 16). Visit Nimrod's Fortress that graces the slopes of Israel's highest mountain, Mount Hermon. The fortress overlooks the forested dales and magnificent landscape of the area. Finally, enjoy a prayer service overlooking Damascus on your return to the Galilee. With your Bible in hand, cross the waters of the Sea of Galilee aboard a Kinnereth Sailing Company boat. Along the way, you will enjoy a special on board worship service. 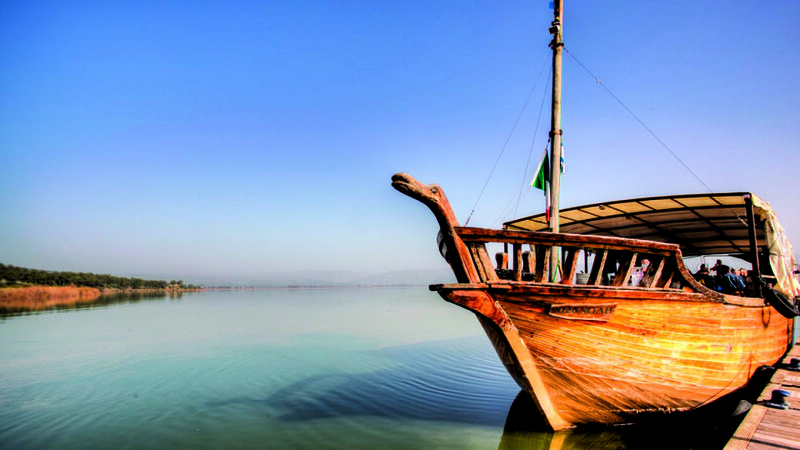 Visit Kibbutz Nof Ginosar and learn about the “Ancient Boat”, a rare and excellent example of the kind of boat in which Jesus would have sailed. View a portion of the Valley of the Wind and Doves, the path from Nazareth to the Sea that Jesus and the disciples would have walked. Continue to Capernaum. Stand in the ruins of the synagogue built atop the remains of the one in which Jesus taught. Stop at Tabgha, where the feeding of the 5,000 is remembered at the Church of the Loaves and Fishes (Luke 9). Also stop at the Chapel of the Primacy, where Peter confessed his devotion to Christ 3 times (John 21). Look upon the fields where Jesus taught at the Mount of the Beatitudes (Matthew 5-7). A beautiful chapel has been built here to commemorate these precious words of truth. Walk the archaeological site of Magdala. Visit the Baptismal Site at Kasr el Yehud, the traditional site of the baptism of Jesus by John the Baptist (Mark 1). 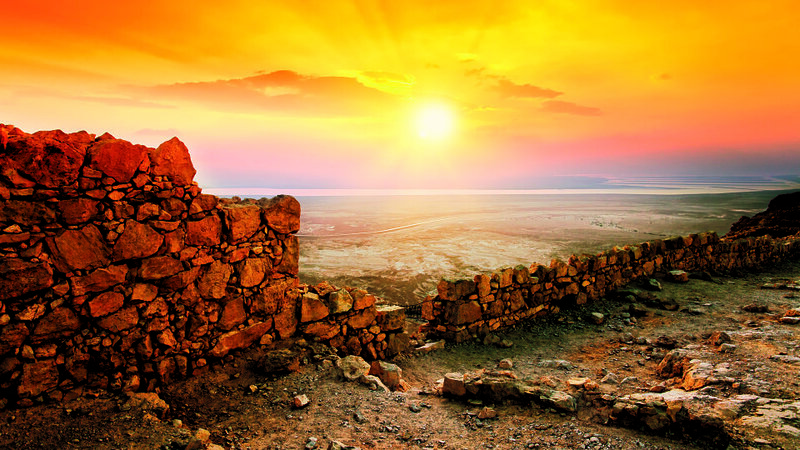 This afternoon, enjoy a visit to Masada, the spectacular mountaintop fortress built by Herod and famous as the last stronghold of the Jewish Rebellion against the Romans. Ride the cable car to the top to explore the fortress. Peer down upon the remains of the Roman camps and siege ramp below. Enjoy a chance to experience the mineral laden waters of the Dead Sea. Check in to your Dead Sea hotel for dinner and overnight. Pass through the Judean wilderness to Bethlehem, the birthplace of Jesus (Luke 2). Enter the Church of the Nativity, the oldest continuously functioning church in the world. See the cave where tradition holds Jesus was born. Look out on the Shepherd's Fields, where angels spread the Good News. Visit the Haas Promenade and enjoy a panoramic view from the south of Jerusalem, the Old City walls and the hill called Mount Moriah where Abraham was commanded by God to offer Isaac as a burnt offering (Genesis 22). Check into your Jerusalem hotel for dinner and overnight. Visit David's Citadel Museum which preserves portions of the city's history from the First Temple period on. From here, walk the Via Dolorosa, “the Way of the Cross,” and stand in reverence at the Church of the Holy Sepulchre. Continue to the Davidson Center and the Southern Wall Excavations including the Teaching Steps and the Western Wall. Continue your journey through the Jewish Quarter to the Cardo. This ancient marketplace has ruins that date back to the Judean monarchy among modern shops. End your day with a walk on a portion of the Ramparts of the Old City Walls. View the Pool of Bethesda (John 5:1-31) where Jesus performed the Sabbath miracle. Visit Herod’s Antonia Fortress where Jesus was brought before Pontius Pilate (Luke 23:1-11). Lift your voice in song in the acoustically beautiful Church of St. Anne. Stand on the Mount of Olives as Jesus did and enjoy a remarkable view of the "Golden City" of Jerusalem. Forty days after His resurrection, Jesus ascended into heaven from the Mount of Olives (Acts 1:9 -12). Visit Gethsemane and the Church of All Nations. Also see the caves nearby where Jesus and the disciples rested. Finally, sense the agony of Christ’s crucifixion at Gordon’s Calvary (Luke 23) and experience the miraculous reality of the resurrection at the Garden Tomb. This morning partake in a worship service at the oldest Protestant church in the Middle East, Christ Church. Following the service, walk the museum and grounds of Yad Vashem, Israel’s Holocaust Memorial, with its poignant exhibits honoring the millions of lives lost during the Holocaust. Enjoy the remainder of the day to relax and prepare for your flight home.